Calgary, Alta. 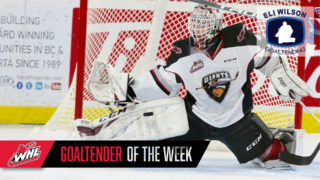 – The Western Hockey League announced today that Adam Evanoff of the Moose Jaw Warriors has been named the WHL Eli Wilson Goaltending Goaltender of the Week and league nominee for the Vaughn CHL Goaltender of the Week for the week ending March 17, 2019. In two appearances this week, Evanoff posted a 2-0-0-0 record, maintained a 1.50 goals-against-average, and stopped 52 of 55 shots for a .945 save percentage as the Warriors ended their season on a three-game winning streak. 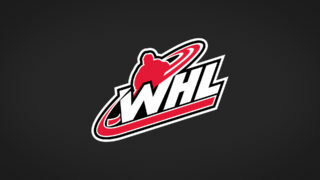 The Warriors will now face the Saskatoon Blades in the first round of the 2019 WHL Playoffs. Evanoff stopped 29 of 31 shots Wednesday in a 6-2 win against the Brandon Wheat Kings. With his team leading 3-1 entering the third period, Evanoff stopped 15 of 16 shots in the period to hold the Wheat Kings at bay. 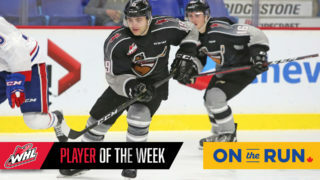 In their final road game of the 2018-19 WHL Regular Season Friday, Evanoff stopped 23 of 24 shots in a 6-1 win against the Swift Current Broncos. Evanoff held the Broncos off the board with 13 saves through 40 minutes as his team built up a lead. 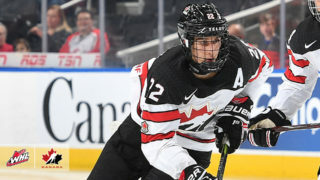 The 18-year-old product of Penticton, B.C. wrapped up his regular season with an improvement on his rookie totals. The 6-foot-0, 196-pound goaltender posted a 19-10-2-1 record in 36 games while maintaining a 2.62 GAA, .916 SV%, and one shutout. Evanoff was originally selected by the Warriors in the 10th round, 219th overall, of the 2015 WHL Bantam Draft. 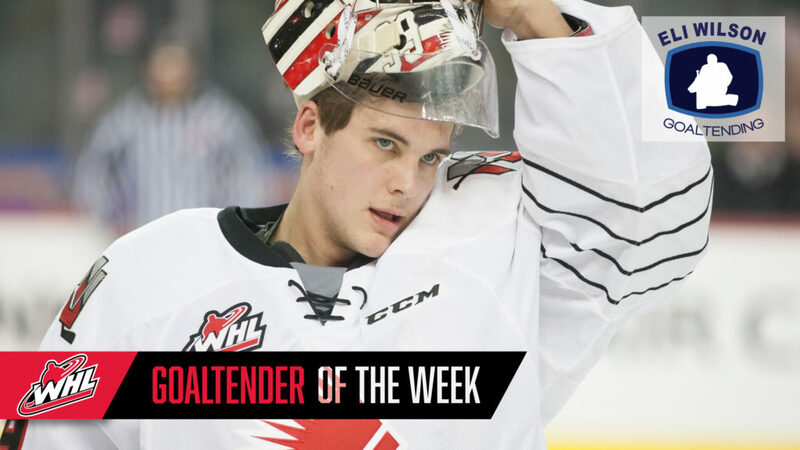 Since then, he’s appeared in 56 WHL regular season games and posted a 34-14-2-2 record, 2.63 GAA, .912 SV%, and one shutout. 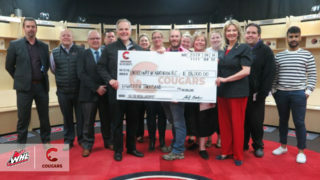 The Warriors will begin their first-round series against the Blades Friday, March 22 (7:00 p.m. MT) at the SaskTel Centre in Saskatoon, Sask.